Originally a collection of 15 Hungarian Peasant Songs for piano by Bartok. Little is known about this gem, arranged for flute and piano by Paul Arma - a very successful arrangement too. He later followed this with an arrangement for flute and string orchestra (the performance material of which is available on hire). Wissam Boustany recorded this piece in 2011 and can be heard on his album 'Sounds from Within'. 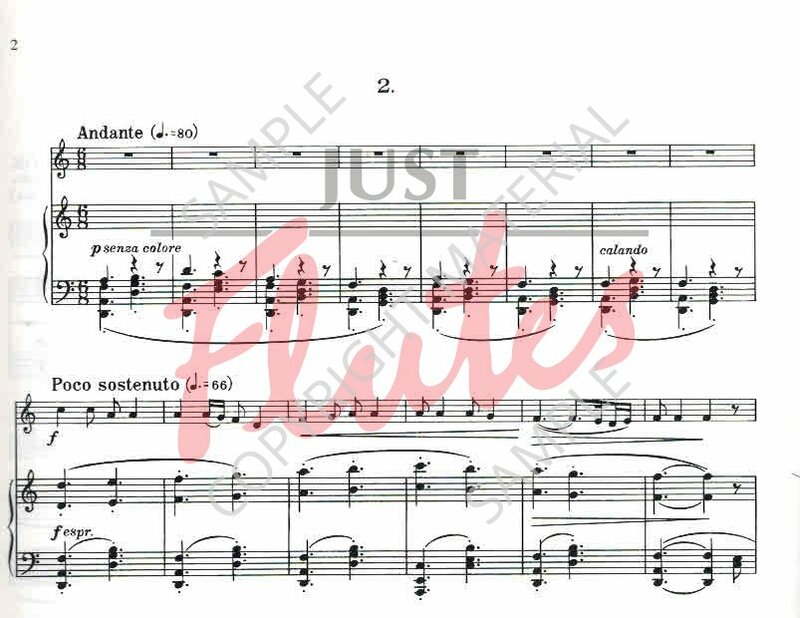 The "Suite Paysanne Hongroise" for flute and piano is an arrangement of nine pieces based on the "15 Hungarian Peasant Songs for piano" by Béla Bartók. Paul Arma, born in Budapest in 1905, pianist and composer, studied the piano at the Budapest Academy of Music with Bartók (1920 - 1924), whose Iove for folksong he kindled. After concert and lecture tours in Europe and the USA, he settled in Germany in 1931 and led the musical activities at the Dessau Bauhaus. In 1933 he went to Paris where he carried out a variety of musical tasks, so he made that his permanent home. 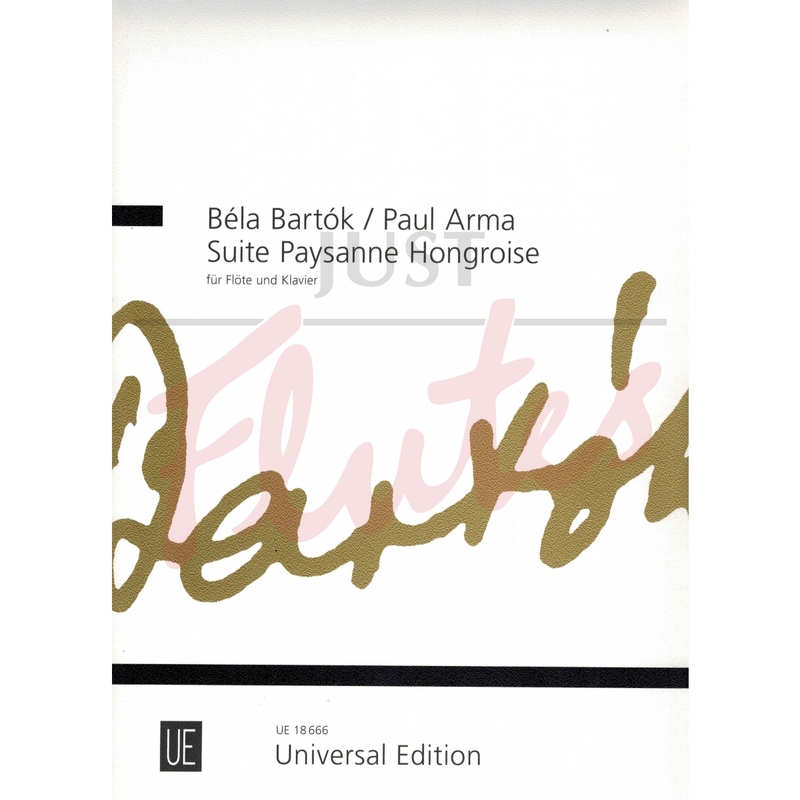 In 1952 Paul Arma arranged a Suite Paysanne Hongroise for flute and piano, based on the 15 Hungarian Peasant Songs for piano by Béla Bartók which was followed by a version for flute and chamber orchestra about 1964 (the performance material of which is available on hire). 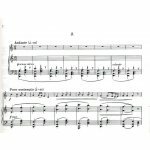 The Suite Paysanne Hongroise, a transcription much performed, was first published in 1956 by Universal Edition and has been incorporated into the Universal Querflöten Edition.